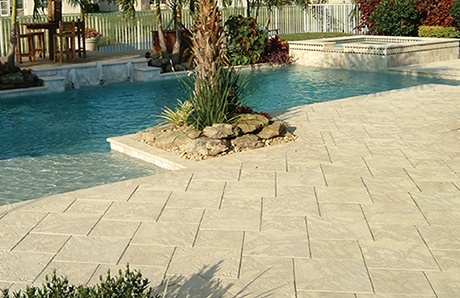 Used in a variety of residential and commercial applications, concrete pavers are a great material to add beauty and durability to your backyard deck and pool area. 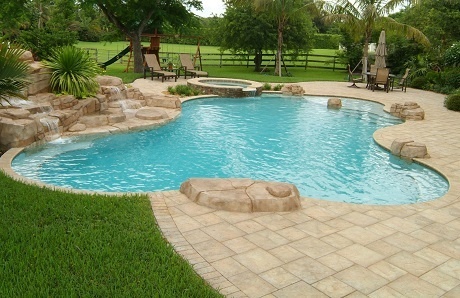 Pavers provide a host of benefits for exterior flooring, pool landscaping, and patio hardscape. Read on to find out the advantages that concrete pavers can bring to your outdoor space. What exactly is a concrete paver? A paver is a manufactured product molded from concrete and shaped and colored to resemble stone, tile, or brick. Created in a factory, concrete pavers are produced by pouring a mixture of cement, sand, stone chips, and coloring agents into a mixer. Various additives—such as stone, gravel, and seashells—are blended in to create the desired look or texture. The mixture is poured into a mold then pressed into a shape—usually square and rectangle—that determines the final form of the paver. As the materials are compacted, air pockets between them are removed. This process strengthens the bonds within pavers while also binding the cement, sand, gravel, and other materials together. The vast majority of pavers are made with gray cement, and a few select brands—available in some areas of the U.S.—are made with white cement. 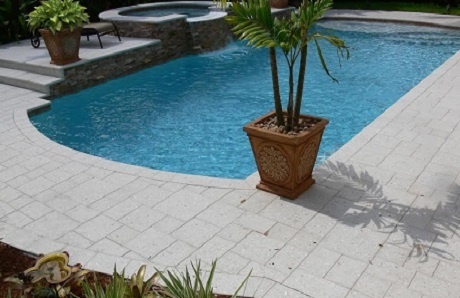 The white color allows pavers to be cooler on your feet, and therefore, they are ideal for areas where people walk barefoot such as pool decks and backyard spaces. 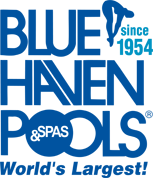 Pavers can be installed in a variety of locations, including your yard and pool area. Once the ground is properly graded and prepped, individual pieces will be set. Tight positioning, interlocking ability, and clean, uniform edges ensure no mortar is needed except along the outside perimeter. Together, pavers will create a distinctive hardscape in your backyard. Besides looking beautiful, pavers offer a number of functional and performance benefits. An advantage of that pavers hold for homeowners everywhere—regardless of local climate, soil, and other backyard conditions—is outstanding durability. Pavers are engineered to go the distance. With a paver deck, you’ll notice that the color is consistent throughout each piece. High-quality pavers have color deeply embedded into them. Over time, this means the color won’t fade or wear off like other materials such as stamped concrete. Pavers are also able to endure shifting soil and temperatures changes. From normal soil thermal expansion due to climate variances to a poorly oriented rain gutter that soaks backyard soil, there are a variety of factors that can cause the ground beneath your deck to expand and contract. When earth shifts, it can push up on deck material above and damage it. Pavers can take on shifting ground more effectively because they are configured and installed in a different manner from many other kinds of deck materials. For example, poured concrete forms a single, monolithic deck structure. Natural stones—which are laid to form a deck with mortar filling in all of the gaps between each piece—also results in a single, continuous structure. The downside to these large structures is that they are easy prey for unstable ground, especially when soil rises up and pushes on the decking material above. By comparison, pavers are set in snugly next to one another, and mortar is used only along the exterior perimeter. The result is a collection of individual pieces that visually appear to be a monolithic structure—but which are not. Each piece retaining their individuality means they can move independently. Concrete pavers move along with changes in the ground. This flexibility helps the material avoid any serious damage or cracks from occurring. That’s a major plus; when the earth moves, the affected pavers can adjust to it in those spots. With a monolithic structure, when one area moves from a bulging ground below, the result is more likely to crack or break the material and/or the mortar between. No one wants icky green algae growth or mildew invading their deck. The microorganisms that cause both can find a welcoming home in the tiny pores of certain deck materials. Porosity is a measure of how much of a material’s contents contain tiny open spaces. The more porous the material, the more nooks exist in which microbes can nest and multiply. If you want to minimize the odds of your deck taking on the “green-algae” appearance, opt for concrete pavers with a high pressure per square inch (PSI). The reason: High-quality concrete pavers are pressed at more than 9,000 PSI. This high level of compaction expels air bubbles and creates an ultra-dense material. Pavers are less porous than materials like wood and some kinds of natural stone like flagstone and travertine. That makes them a much better choice to ward off the growth of algae and mildew on your backyard patio. If you have a saltwater sanitizer, for your pool’s chlorination, you are no stranger to the slow corrosion caused by salt water. When salt-laden water falls onto the swimming deck, damage over time can result as the salt slowly eats away at the material. Depending on the deck material, this slow corrosion can cut into a deck’s lifespan—requiring earlier, costly replacements. With pavers, you have a deck material that does a great job keeping out saltwater and the woes it brings. With their high density, quality concrete pavers retain minimal porosity. As a result, salt water’s ability to penetrate deep into your deck is severely diminished. With pavers’ strong performance in this arena, your deck can maintain its beauty and integrity for a long time to come. Pavers are ideal in cold-climate regions. 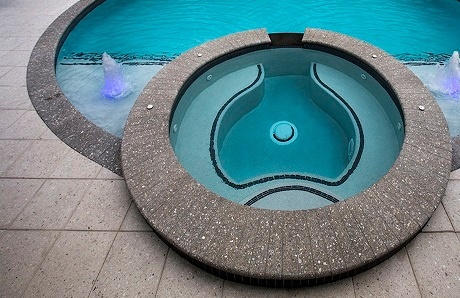 Fluctuating temperatures between hot and cold is the number-one reason that pool and patio decks degrade over time. When a deck absorbs water, the water freezes inside the material. When water turns to ice, it expands—causing the material around it to crack. This process occurs with weather changes. When rain falls on your deck, water enters into the pores of the material, remaining there until it evaporates. However, if a cold front moves in before that, the water will freeze. As it does, ice forces its way into the decking, chunks of decking material may crack and even pop out from the surface. That’s why if you live in an area with shifting weather patterns—with blazing summers and winter freezes—pavers are a great option. Here’s why: The denser the material used for your deck, the less water will be absorbed. In turn, the opportunities for frost damage drop. Remember, although pavers are made with concrete, since they are compacted with such high force during manufacturing, they are much denser than poured concrete. An additional tip: If you live in a cold climate with extended freezes, it’s worth investing in a quality concrete paver that stands up to dramatic temperature changes. Look for a line of pavers that has third-party testing for freeze-and-thaw durability. This technical evaluation puts sample materials through a series of extreme, rapid temperature changes, and it indicates if a paver’s blend will remain stable under various conditions. While top-shelf pavers with this kind of verification may cost little more upfront, they will deliver extra value with their superb durability. Check out 50 Cycles Freeze-and-Thaw-Test, and you will rest more comfortably knowing you have this added protection. 5. Pavers make repairs easier and more cost effective. Finally, a tremendous advantage that pavers have over virtually every other decking material is the ease and low cost of repair. If any damage occurs to one or more individual pavers, replacing it is like changing a puzzle piece. With pavers there is no need to break apart a whole deck just to replace a small area of damage. A deck repairman can quickly pop out the damaged pieces, and replace them with new ones. They do not have to disturb the rest of the deck in order to do so. If the damage is from a ground bulge, then he can remove the affected pavers, level out the ground below, then simply put back the original paver if it is still in good condition, or replace it with a fresh one. Now, imagine if you had damage, but your deck has a natural stone flagstone with mortar between each piece. It’s much harder—and more costly—for a contractor to rip out the damaged pieces and replace them with brand new material. Even worse, the new ones will probably not visually match the rest of the others or the mortar joints in terms of color and texture. The beauty of pavers lies not only with their good looks, but with their ability to perform. Their superior density and versatility make them an attractive option in so many ways. When building or remodeling a pool deck or your backyard patio area, consider the advantages pavers can deliver for the comfort, appearance, and longevity of your backyard space. 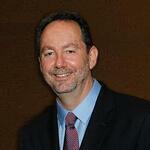 Daniel Essig is an expert in the pool industry for more than 35 years. Driven by a strong sense of perfection and an incredible eye for aesthetics, he started Artistic Paver Mfg. ® in 2000, a paver and coping manufacturer because he believed the market was lacking a product that was special, different and produced with the highest technology.